၁- Attack - When a rider or riders decide to ride faster than the rest to ride away from the bunch, it is called an attack or 'break-away'. 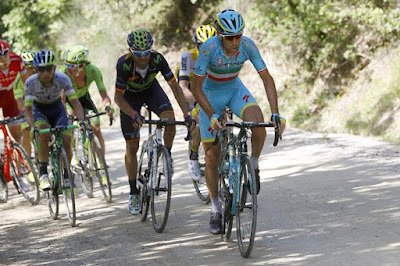 Usually this is done with the intention of getting away from the bunch and riding to a placing at the finish. ၂- Abandon - When a rider quits during a race. 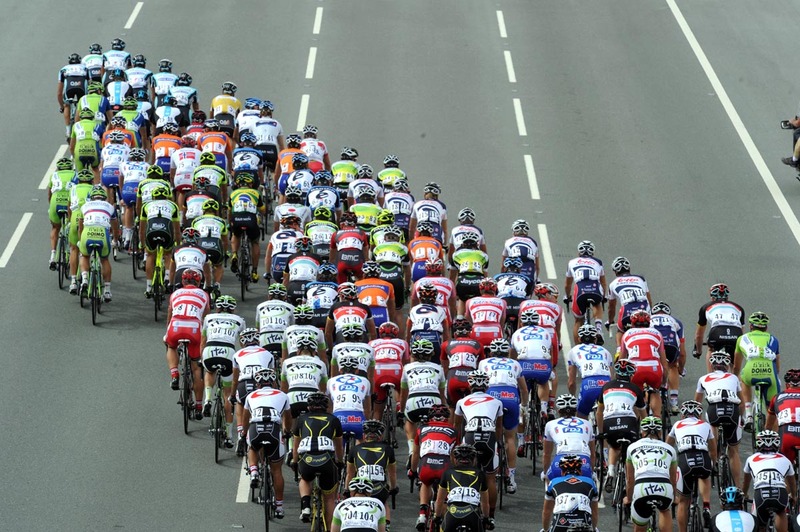 ၃- Blocking - When one rider or a group of riders disrupts a chase by slowing down a paceline. ၄-Bonk - Total exhaustion caused by lack of sufficient food during a long race or ride. ၅- Bonus Sprints - On each stage, race organizers designate several intermediate points along the route where bonus points are given to the first three riders who cross the line. 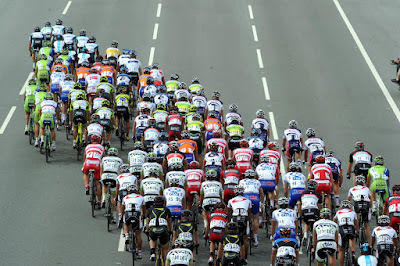 ၆- Break/Breakaway - A rider or group of riders that has left the main group behind. ၇- Bridge/Bridge a Gap - To catch a rider or group that has opened a lead. ၈- Bunch Sprint - Bunch sprints occur when a group of riders approaches the finish line as a whole and all speed to the finish line. ၉- Cadence - The number of times during one minute that a pedal stroke is completed. Also called pedal rpm. ၁၀- Chasers - Riders who are trying to catch a breakaway group. ၁၁- Circuit Race - A multi-lap event on a course usually two miles or more in length. ၁၂- Criterium - A multi-lap, one-day race on a closed, short course, typically one mile or less. ၁၃- KOM - King of the Mountain. Award for the Best Climber. ၁၄- Lead Out - A cyclist sacrifices himself by riding fast in front of a team mate who sits in close behind to gain the advantage of the wind block. The front rider, usually a domestique, will ride as fast as possible toward the finish line with the other rider (usually the team leader or team sprinter) right behind. Just before the line the front rider will pull off to the side allowing the rider behind to race through to the finish. ၁၅- Mechanical - Slang for a mechanical problem with the bicycle. ၁၆- USA Cycling - America's governing body of cycling. USA Cycling supervises the activities of all cycling disciplines (road, mountain, track, cyclo-cross), and establishes criteria for the US Olympic Cycling Team.